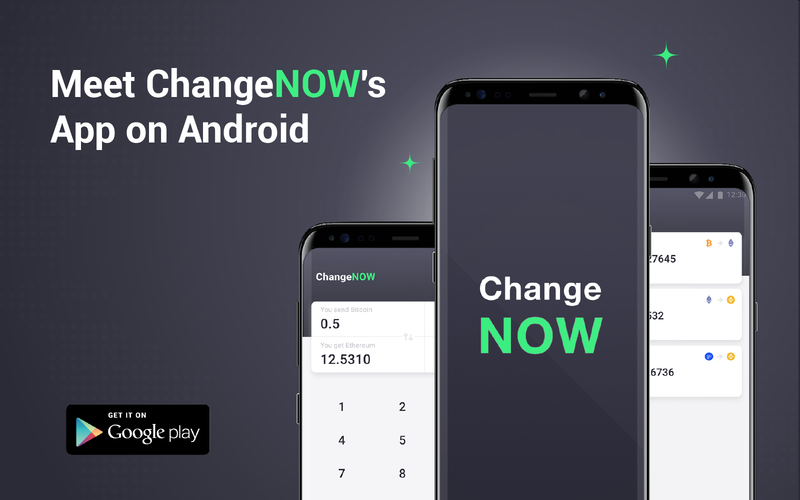 ChangeNOW.io platform is now available on the Google Play Store, thus making limitless instant exchange operations with more than 150 cryptocurrencies possible on the go. Now our clients are able to take their user experience anywhere they go, swapping Bitcoin, Ethereum, Litecoin, Bitcoin Cash, and other altcoins free of custody without any limits — anyone can exchange as much as they want in just a few button presses. The ChangeNOW app allows clients to perform coin swaps without any need to create any sort of account, thus ensuring maximum safety, speed, and convenience of operation. The service doesn’t store the client’s funds nor requires them to sign up — this way, the client themselves is always in control of their digital assets. The app has been designed in a way that makes it possible to use even by an inexperienced crypto enthusiast with the help of a great intuitive user-friendly interface. Aside from the characteristics listed above, ChangeNOW’s app has a unique feature which makes it stand out among other apps out there — there is a built-in timed airdrop feature which lets clients receive the platform’s NOW tokens. Being the first tokens issued by an instant exchange platform, NOW Tokens will serve as an internal currency on ChangeNOW. They will give access to such features as special exchange rates and accelerated support and be the essential way to list new coins and tokens on the service. Get ChangeNOW’s App on Google Play NOW! Why is the final amount of funds different from the initial amount?